Cruising solo… trains, planes, automobiles and boats! I’d made the very big mistake of packing early. 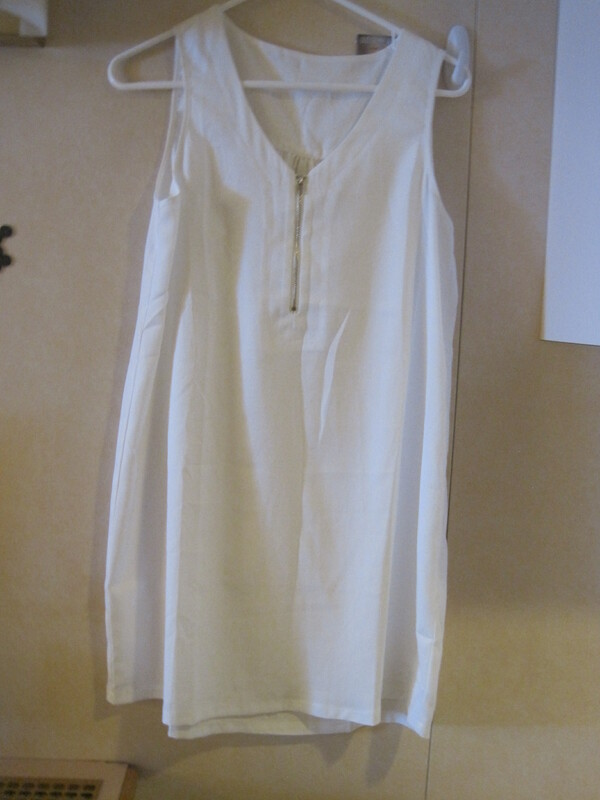 Each day I added another bit of clothing, an extra pair of shoes, 3 sarongs, that book I was given at Christmas, magazines… all absolutely necessary for my 11 night cruise to the tropical South Pacific. 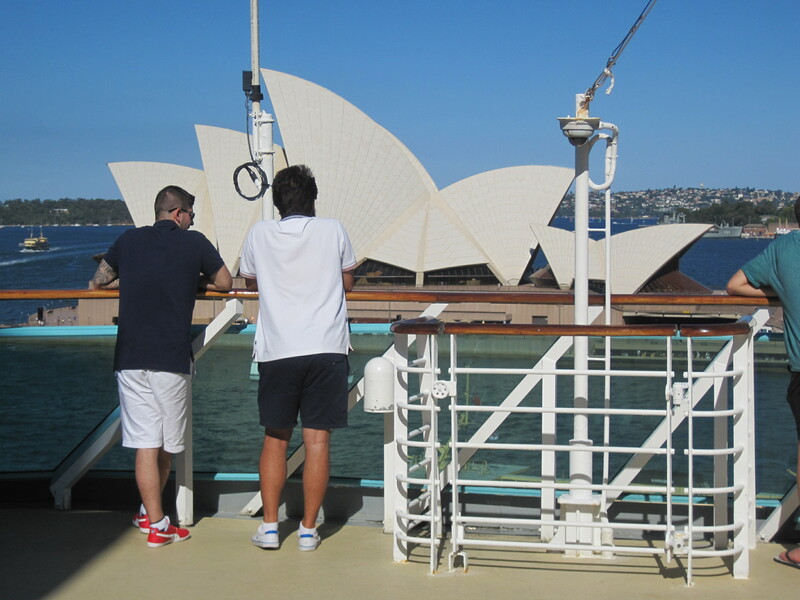 The boat was leaving from Sydney Harbour and I would need to fly from Melbourne first. Friday morning I did my online check-in and was confronted with a very stern warning that overweight carry-on luggage would be confiscated and the offender shamed in front of the entire cohort of passengers…not really. 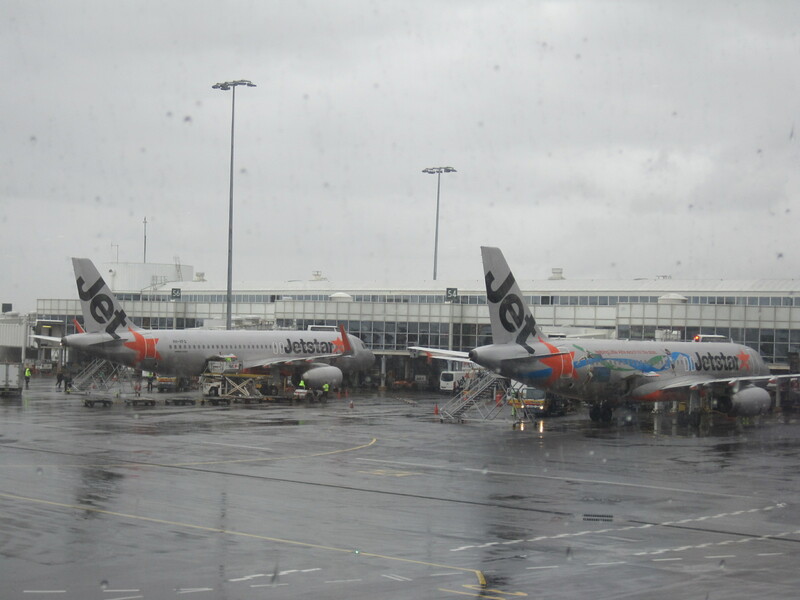 I knew I’d packed far too much stuff and JETSTAR had reduced the allowable carry-on from 10 kgs to a meagre 7 kgs. 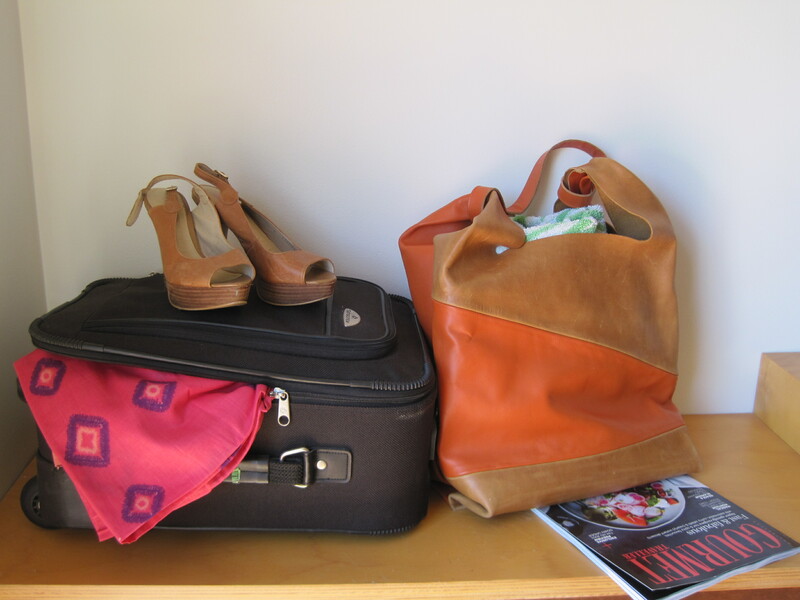 I weighed my over stuffed Samsonite, laptop and much loved orange leather tote, and the scales screamed 14 kgs! Some drastic action was needed.First the heavy suitcase and bag had to go. I weighed all the options and finally settled on my microlight day pack. It would be a struggle but I knew I could do it. For a brief moment I considered replacing the orange bag with a sad plastic supermarket bag, lightweight but far too tragic and opted instead for a smart black faux leather tote…sturdy enough to hold my computer and good enough to NOT look like a bag lady on tour. To give you some idea of how idiotic things had become, originally I’d packed 1 green, 4 black, 2 grey and 2 white T-shirts, 3 tanks and 4 skirts (and that was just a small sample of the extensive wardrobe stuffed inside the case). When you do the maths that comes to 48 different possible combinations! (4 killer heels and 3 pairs of sandals should also be mentioned) Utterly ridiculous and impossible to wear on such a short holiday. I needed to be ruthless, cut down by 2 thirds…and I did. So pleased with my efforts I took this snap just to prove it was possible, and even included the luxury of a little black dress…you never know?! 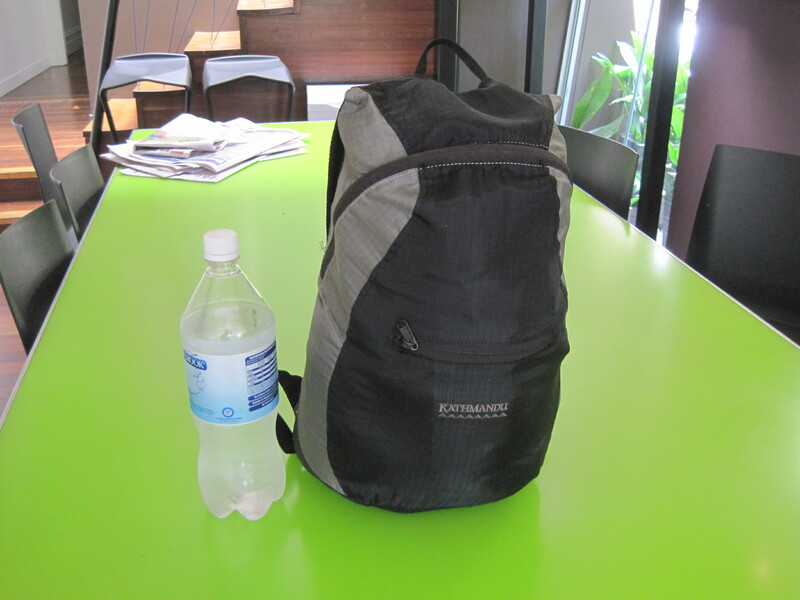 I rolled and squeezed the lot into my backpack, jumped on the scales and was pleased to get the weight down to 4kgs. The tote, with purse, computer and kindle taking the total to a very admirable 6kgs…space for a few souvenirs. Saturday morning arrived, cold and grey, perfect time to escape to the tropics. My husband drove me to the airport and I walked, with boarding pass, straight to the gate. I waited, expecting to see my flight called when suddenly an announcement is made…MY FLIGHT HAS BEEN CANCELLED I race back to the front of the airport, fearful I might literally ‘miss the boat’ and directed, “no luggage to check-in” to a short line. I am booked on the next flight, ‘now boarding’ and scramble back past security and tear through the airport to the most distant gate lounge where my flight is about to leave for Sydney. I plop, breathlessly into my seat, no weigh in, no fuss…I’m disappointed, surely my noble packing efforts deserve a commendation, an announcement from the captain, a kiddie pack at least! The flight is an easy hour, I get off and hunt for directions to the train station. This is a little freaky because I never use public transport…not because I’m a snob, it’s just that I live so close to the city and shops and usually walk everywhere. 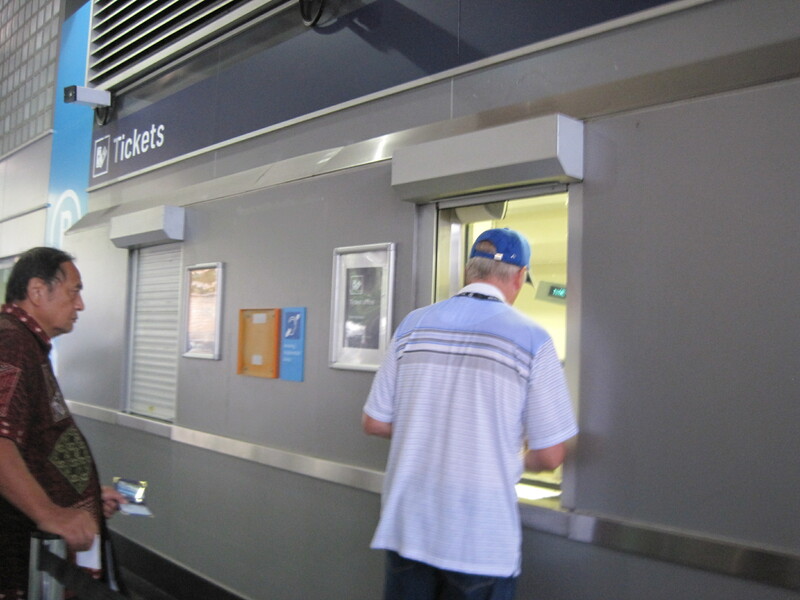 But it’s easy, the station is directly below the airport, the ticket, $17 (cab $30-$50), is purchased from a real person and the train pulls up as I step onto the platform. 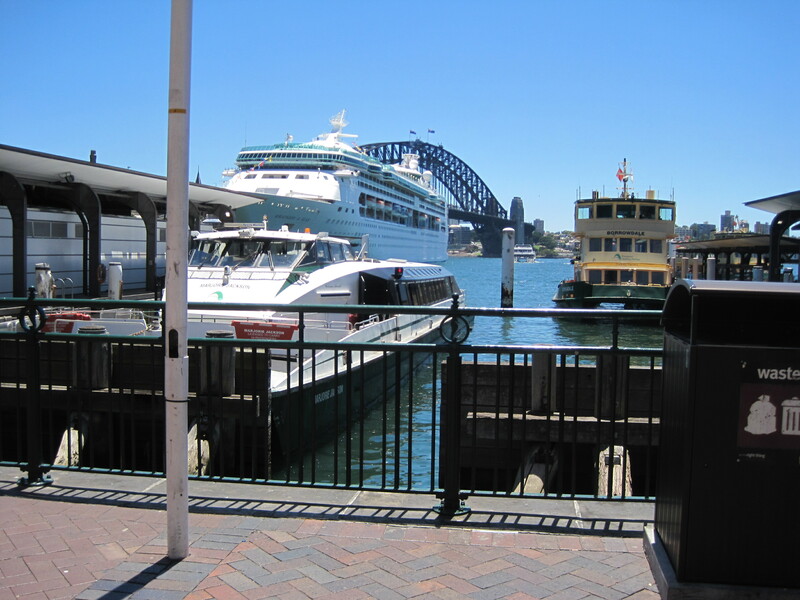 My 15 minute journey stops at Circular Quay and I wonder how on earth I will find the dock. 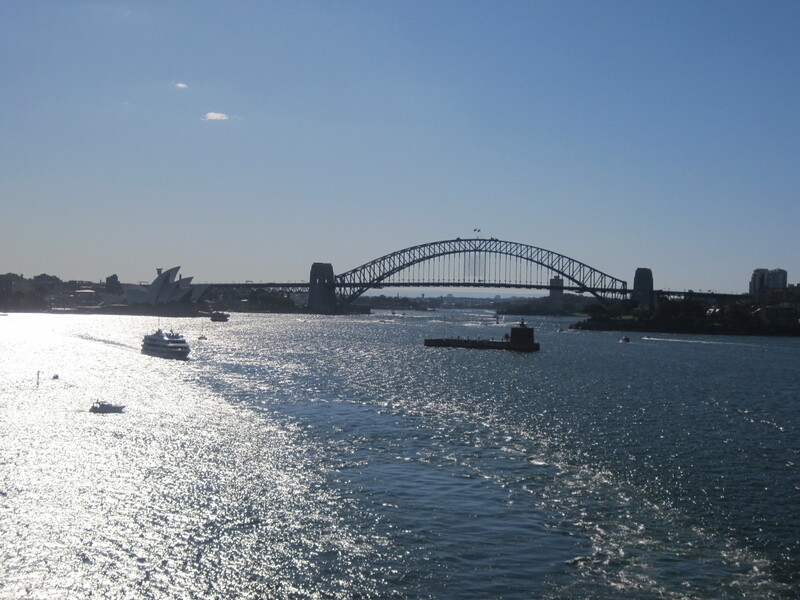 I step into the bright Sydney sunshine and discover myself staring straight at the big white boat.”There she is, that’s my ship The Rhapsody of the Sea!” I blurt out like a complete idiot. Relieved that no one cares, I head towards the international passenger terminal, so obviously a short walk away. I explain the sudden cancellation by my friend and attempt to tell my sister I’m curious to see what it would be like to do this on my own. She finds this hard to believe as I’m not very adventurous and have been married longer than Mary and Joseph. Time races, I look at my watch and know it’s time to board. 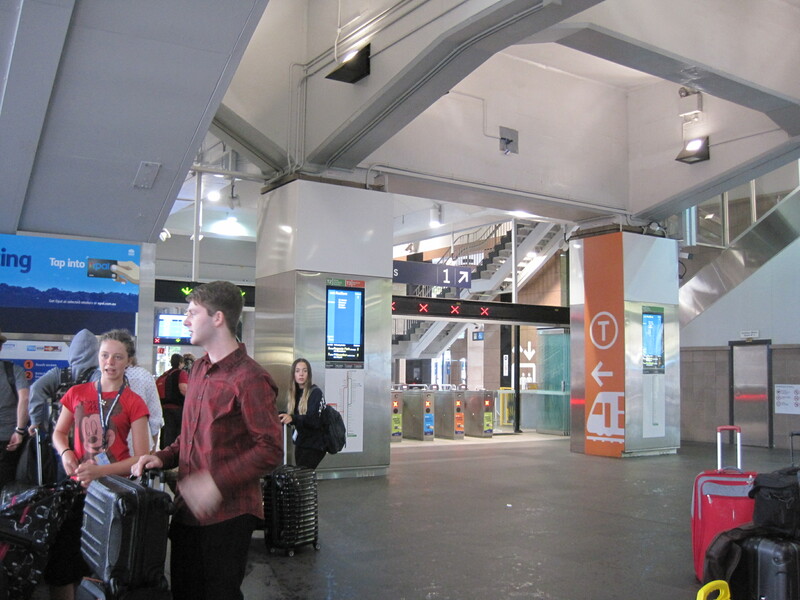 We say our farewells and cautiously I make my way to the boarding area. With no luggage the check-in is seamless and, apart from showing my passport and filling in a customs form, no more complicated than checking in to a hotel or catching a plane. I’m given a plastic swipe card that will be both credit card (the ship is cashless) and ID. 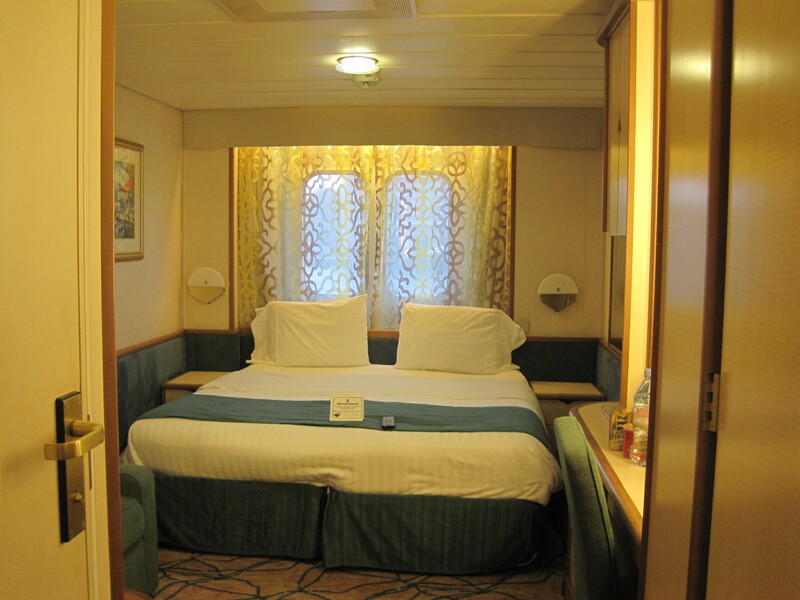 I’m welcomed aboard by the smiling attendants and directed to my stateroom. 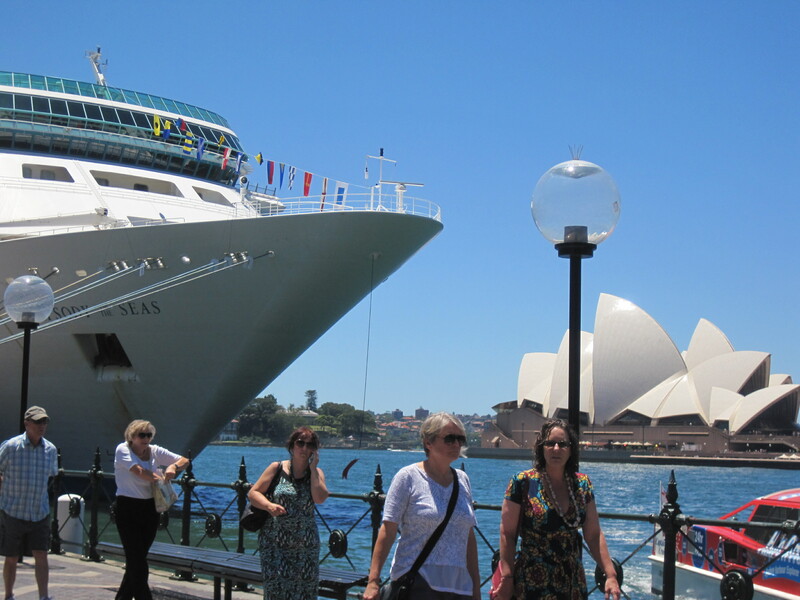 This ship has a great feel, every time I see a crew member they smile and say “welcome aboard, good afternoon madam”. 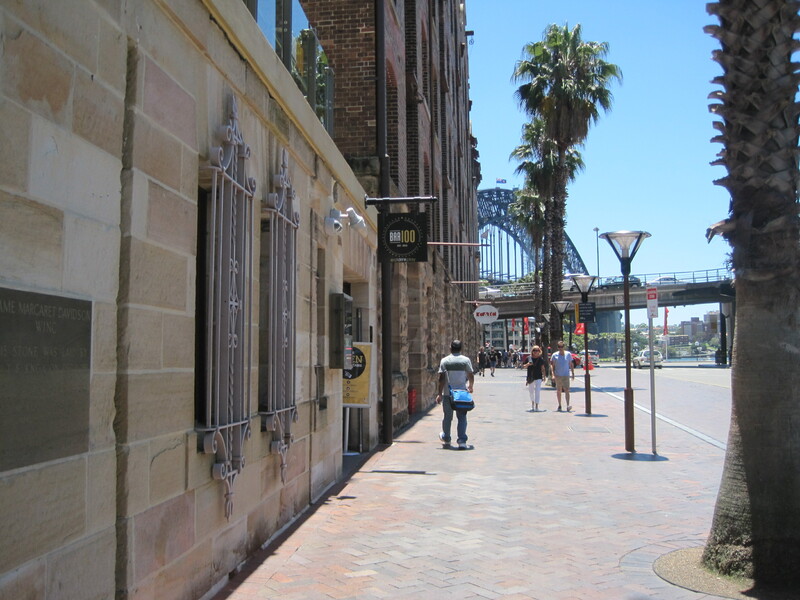 My room is waiting for me, it’s lovely and spacious, a welcome note on the bed, big double windows giving me a view of the magnificent Sydney Harbour. I check out the interior, pat the double bed, look into all the nooks and crannies of this place that will be my home for the next 11 days. 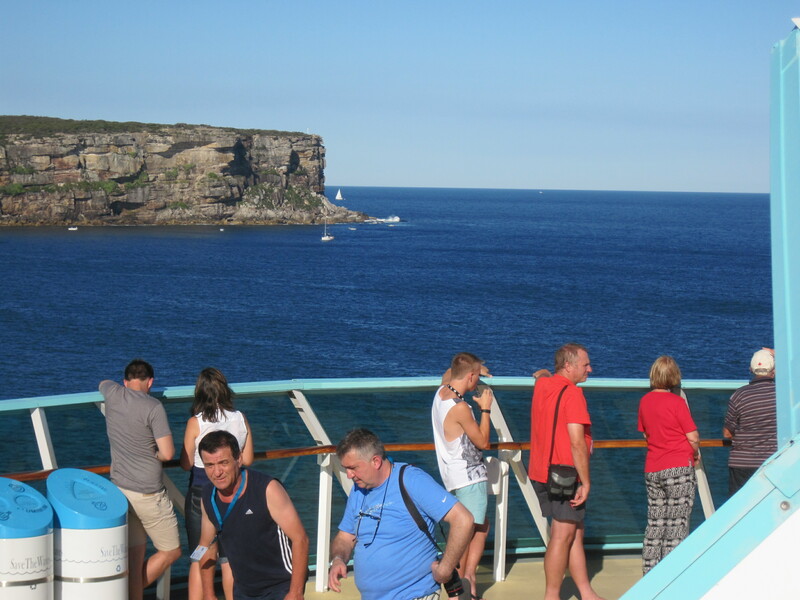 My domestic reverie is interrupted by an announcement…”The ship is about to sail and all guests are encouraged to make their way to decks 9 and 10 to get the best views of our departure”. I consult the map to get an idea of where I am and head to the lifts. I land at the pool deck, level 9, and follow the crowd (many of them looking just as lost as me) to the side of the ship where I hope to wave goodbye to my sister. As I’m scanning the wharf I get a text, my sister had to go, her parking meter had expired. I text back another farewell and turn my phone off. It will be expensive to send and receive calls and data so I’ve decided to go offline for the entire time of my trip. 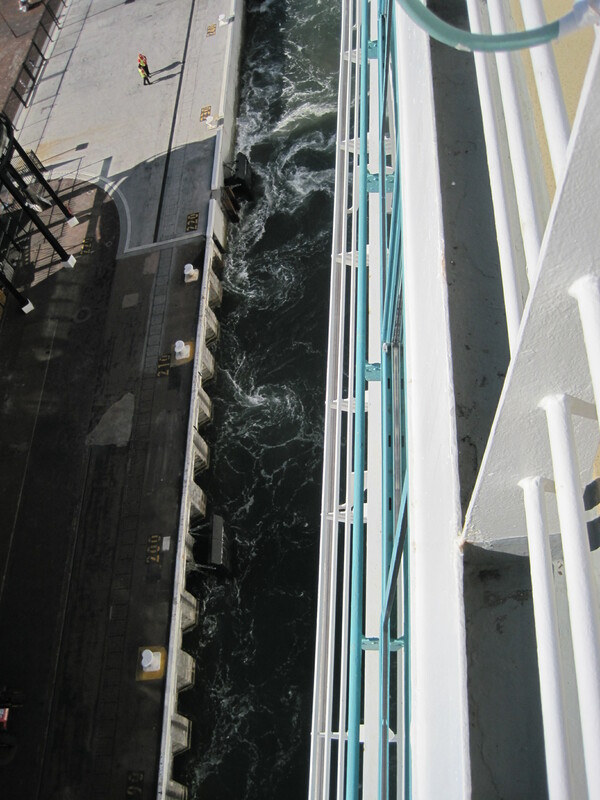 The ship begins to rumble and I look down to see the waters churning, we’re slowly moving away from the dock. I’ve done it, I’m here and now I’m finally leaving. 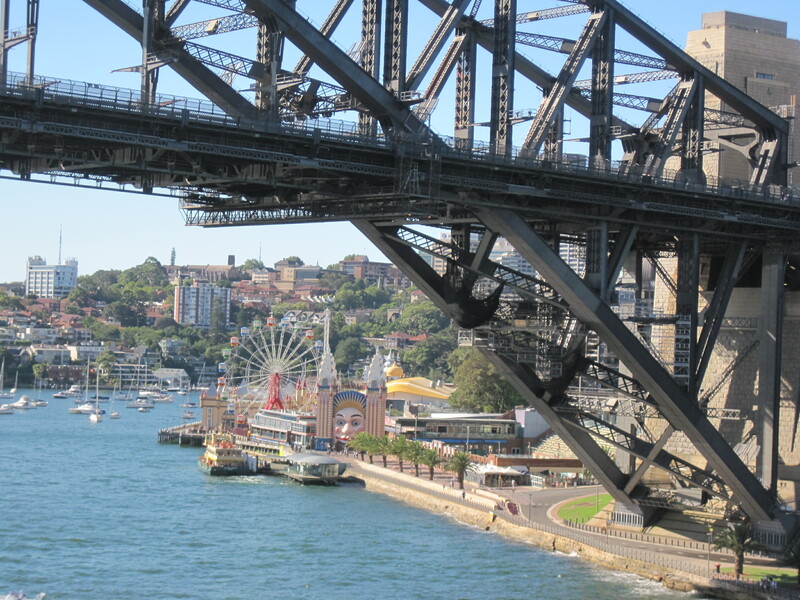 I go up another flight of stairs to deck 10, look back, under Sydney Harbour Bridge and see the grotesque face at the entrance to Luna Park, smiling, laughing at me and my silly little adventure. We pass the Sydney Opera House (where Oprah Winfrey preached to the converted) and I kind of get a bit emotional being so close to such an iconic structure. We sail through the Heads and out into the open ocean. My journey has really begun. Again I follow the crowds back down to deck 9 where a band is playing and the sail away party has begun. 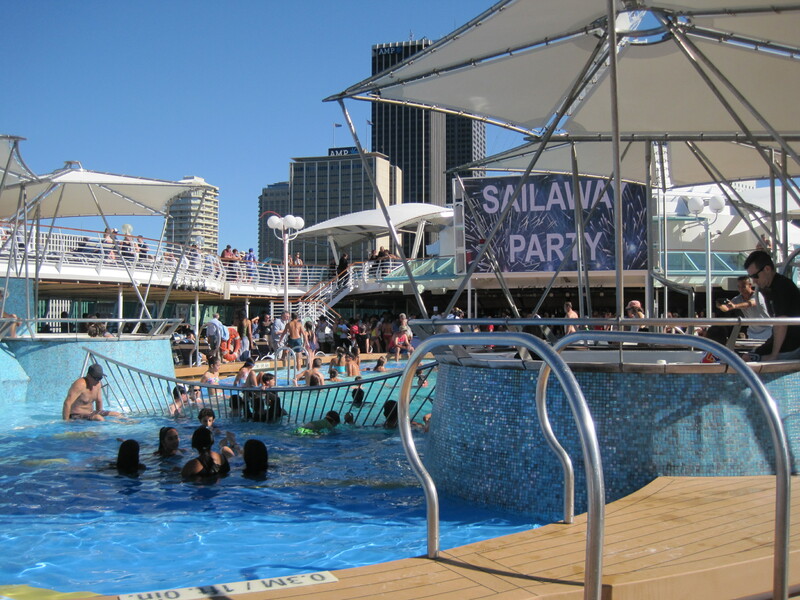 Kids are splashing about in the pool, adults are drinking brightly coloured cocktails, so comfortable, relaxed, cruise veterans. I feel like the only person on board who has never been on a ship before. Simple things like buying a drink, finding a table, seem as difficult as learning a new language. I am totally overwhelmed by the newness of the whole experience and don’t know where to begin. My cabin beckons. I’ll unpack, settle into my new home. A shower, a change of clothes, some make-up… transformation’s a very powerful thing. That’s what Christina Maxwell would do. 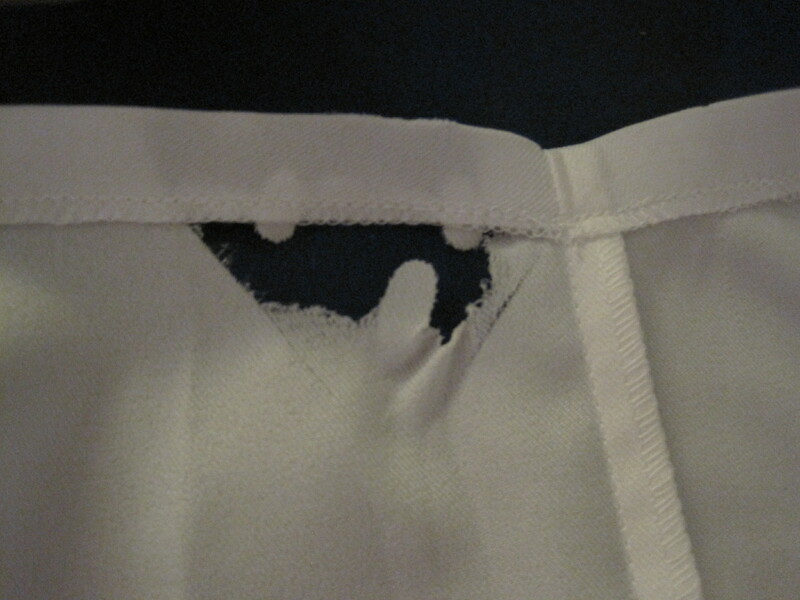 And burn a bloody great hole in the hem! Having packed so sparingly, I can’t afford to lose one of only three day dresses. Luckily the guest services desk has one of those little sewing kits. 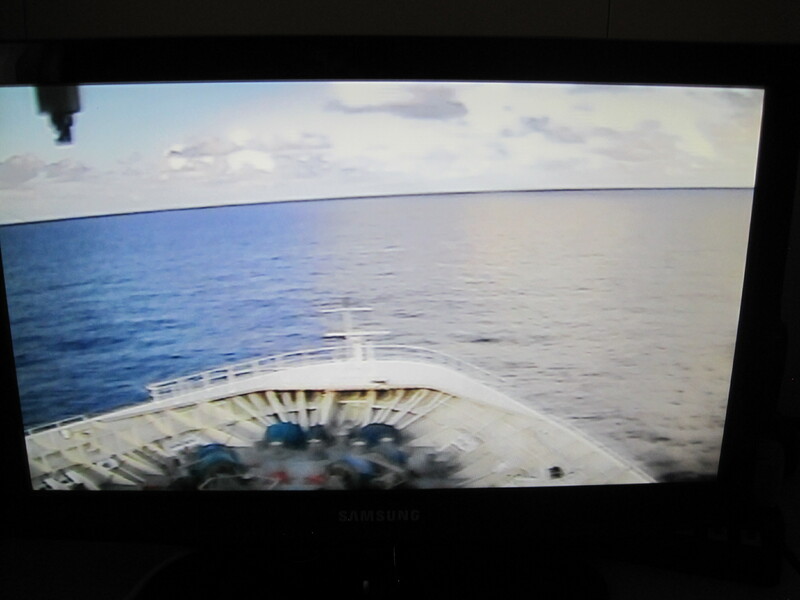 It’s getting late, the party is probably over and after flicking through the TV find myself, inside the cabin, watching boat cam. What kind of feeble excuse was I making to avoid the prospect of socialising with strangers? I turn the bloody thing off, look outside and see the potential of a beautiful sunset. The Japanese restaurant, Izumi, deck 12, apparently offers a wonderful view. I call and yes they do have a table for one. Forget the sundress, I put on something a little more ‘night out’ slip on the heels and re-apply the lipstick. So it’s not joining the conga line and sipping Margaritas…but it’s a start! Christina would be proud. To be continued…Four Nights and Three Days at Sea. I just laughed out loud scrolling over the ironing mishap! And I totally understand the stress of navigating to the cruise but I must say you had it easier then dragging a husband along that is terrible with directions (Except to the buffet or bar on every level.) The lack of phone and internet is actually quite refreshing though I must admit. My sense of direction is shocking. It was good to not have that argument about screwing things up when we get lost…you know the one in the car that ends with the map being slammed shut and silence and maybe a vow to never travel with that person again! PS he gets really sea sick so I think I will always be a solo cruiser! Maybe they didn’t give you the kudos you deserved with your packing, but I will! 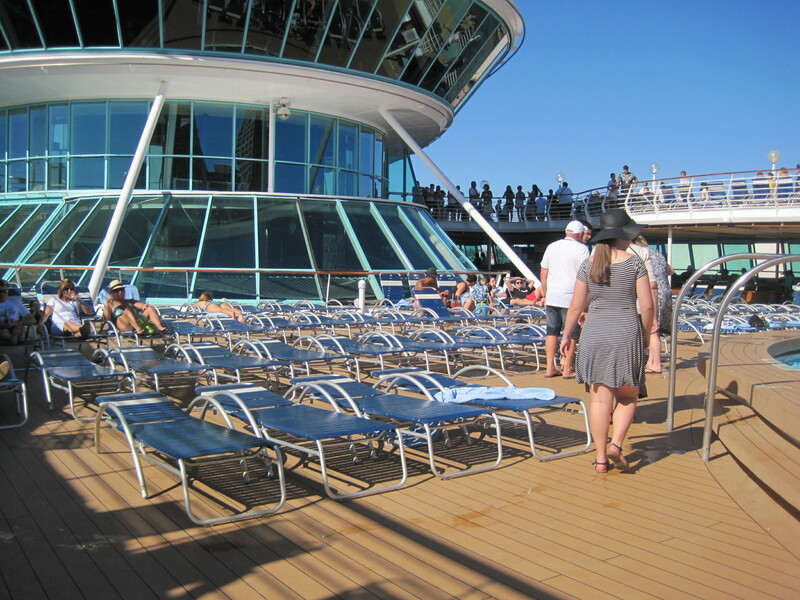 Never having been on a cruise, I’d guess you need all sorts of things…so hats off to you in keeping things in check. Your photos are amazing, so gorgeous! Hey, it’s not tragic…I work in the travel industry, so I get it! 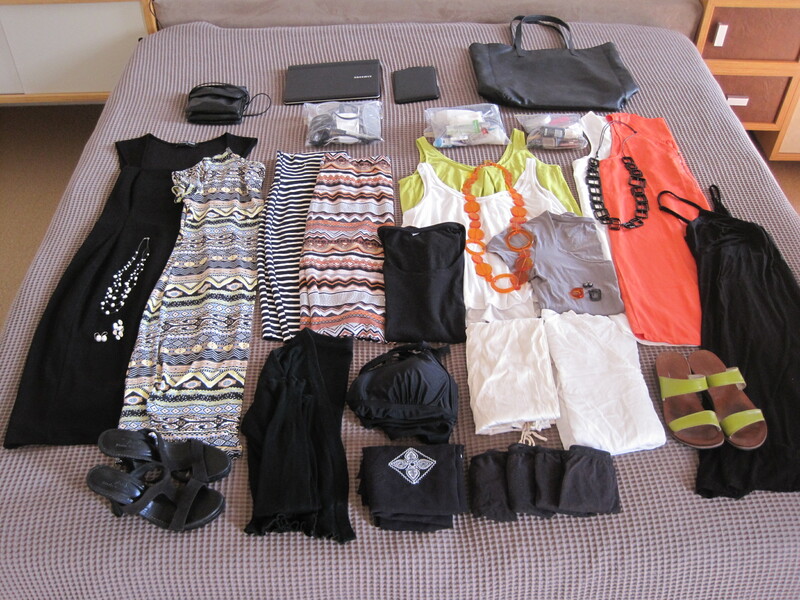 I’m imagining myself & what I would pack…there’s got to be so many “events” that you’d have to dress for, so where to start? Haven’t a clue! As for the little Canon, good for you! What’s the quote, “the best camera out there is the one you HAVE WITH YOU!” I’m so guilty of not remembering. Thanks for the inspiration! Oh, and I can’t wait for that post you feel coming on!! Have a great day, sweet friend! Two skirts, four tops…eight outfits. 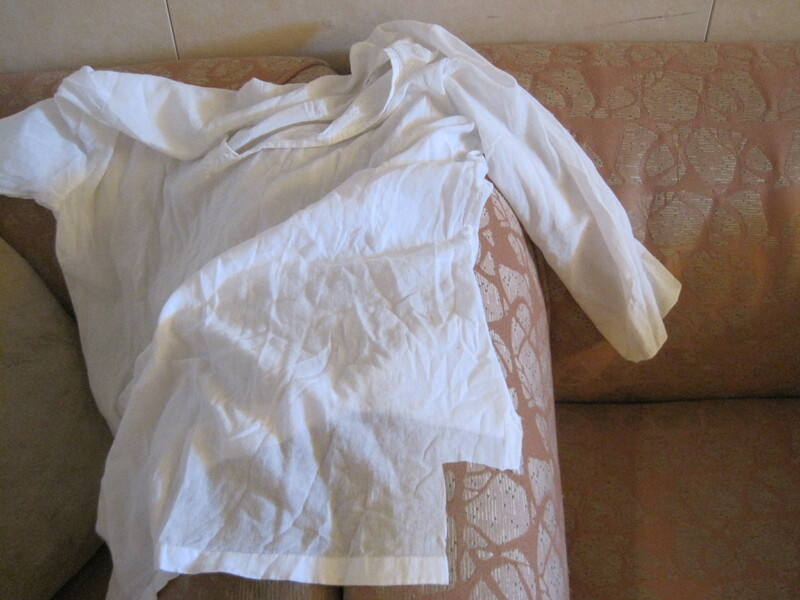 Another clue that my much traveled friend Jane gave me was plain tops and interesting accessories. Taking only carry-on luggage saved so many hassles and delays. And I love your camera quote, so very true! You’re off to a good start, even with the problems. Give yourself a pat on the back for doing the adventure on your own. I look forward to the rest of the story! I saw your lovely note on my word “create”. I haven’t gotten around to answering the comments yet, but did want to say thank you for the encouragement and advice. Thanks Nancy, the adventure just gets better, will hopefully put something up today…but it is Saturday and there are papers to be read and coffees to be sipped. Even writers surely need a day off occasionally?! You’re awesome! I would have been without a day of clothes due to the hole. 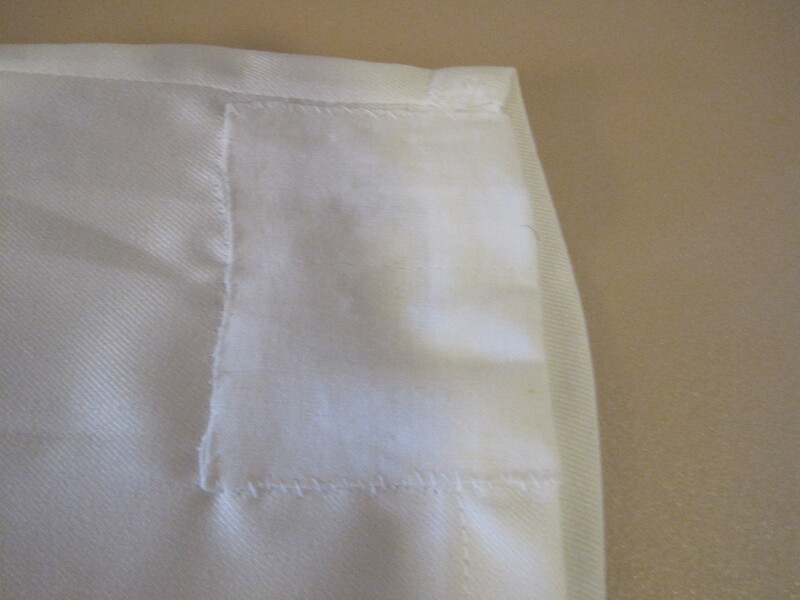 I never would learn to sew and have no desire to…ha! Thanks for letting me escape with you. I look forward to reading more about this journey! Great to hear from you Debbie, missing your posts. It was compulsory for all girls to do ‘Needlework’ at my country Highschool and much loathed. Many of the girls would’ve preferred to use power tools with the boys! That said I had one brilliant teacher, Kathryn, a woman of great style who seemed completely out of place. She’d traveled the world, had her own design label, but ultimately followed her heart and came to live in the town when her husband was transferred there. She was quite inspirational and I’m thinking of using her as a character in the next trilogy.